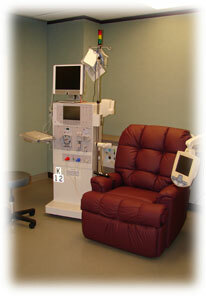 “When I first learned I needed dialysis, I was in a state of total denial despite feeling so sick. Dr. Michael saved my life!” P.D. Dr. Michael has full admitting and consultative privileges at Virtua West Jersey Marlton and Voorhees Hospitals. She sees dialysis patients at Davita Marlton, Davita Mt. Laurel, Davita Lumberton and Kennedy Voorhees. These facilities offer traditional in-center hemodialysis and in-center nocturnal dialysis, as well as home hemodialysis and peritoneal dialysis.